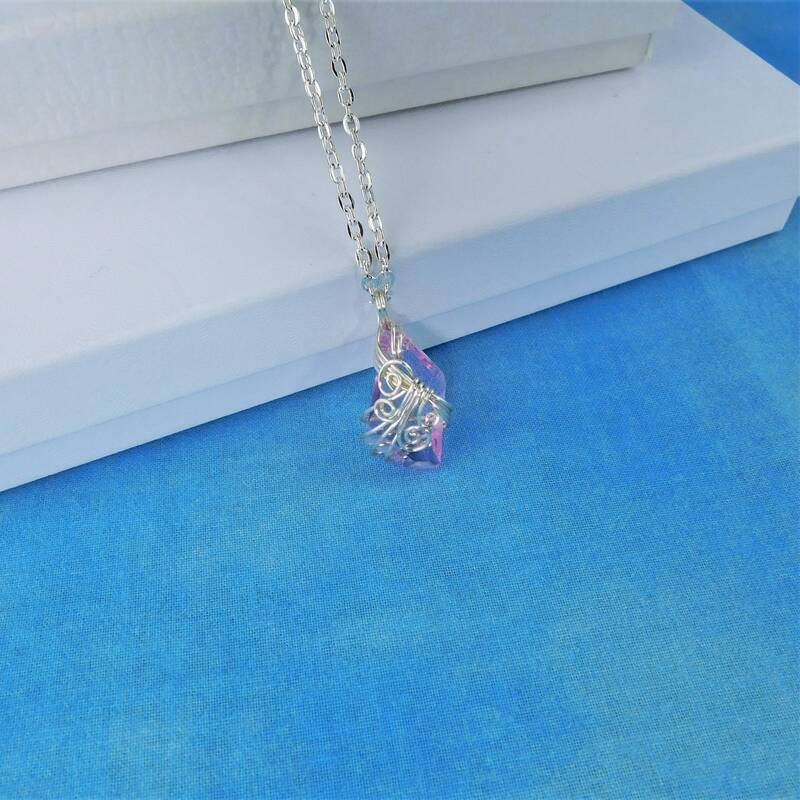 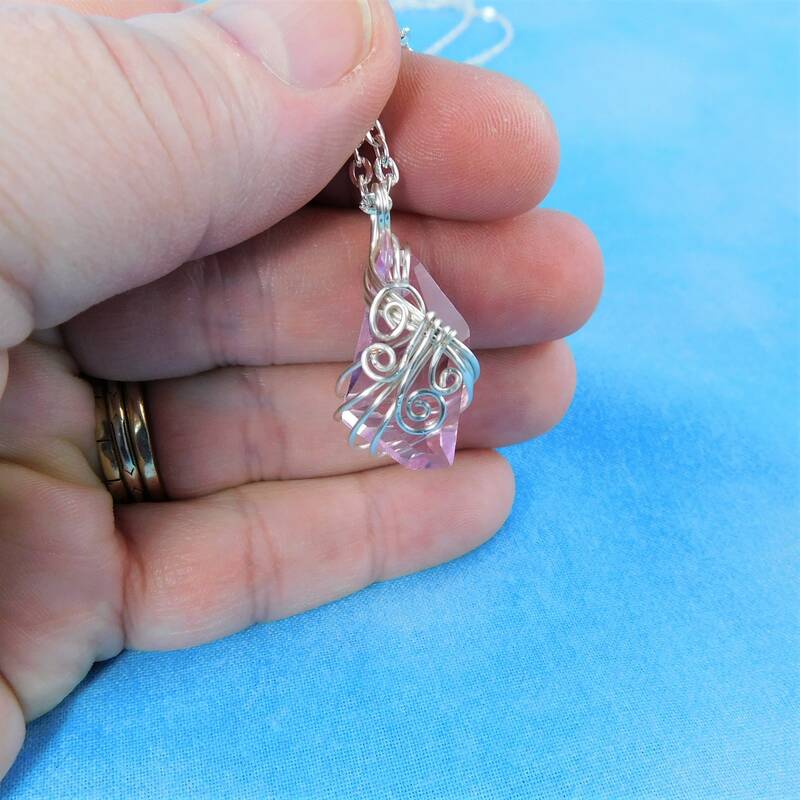 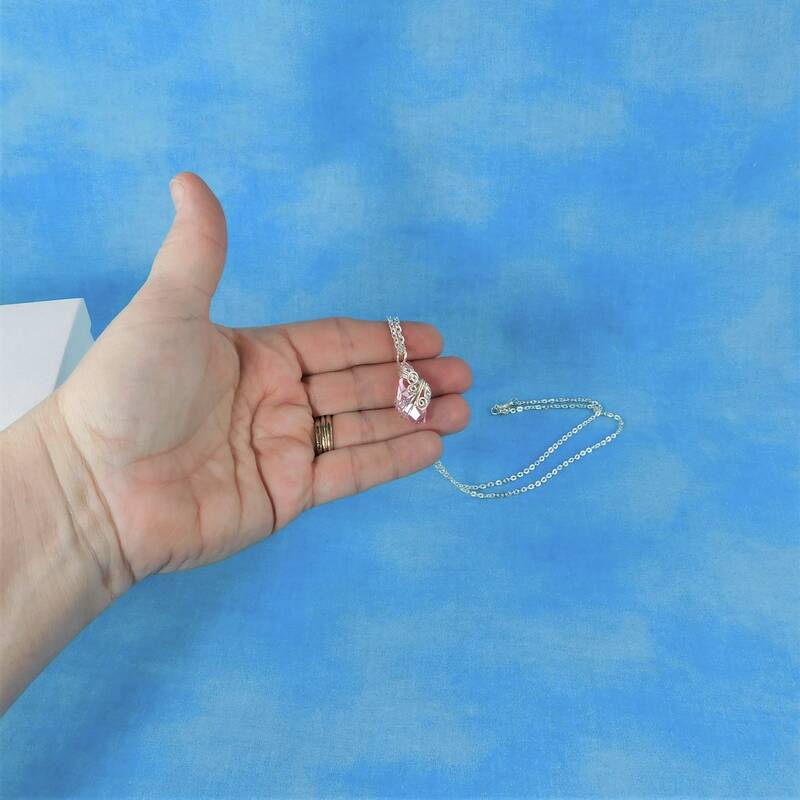 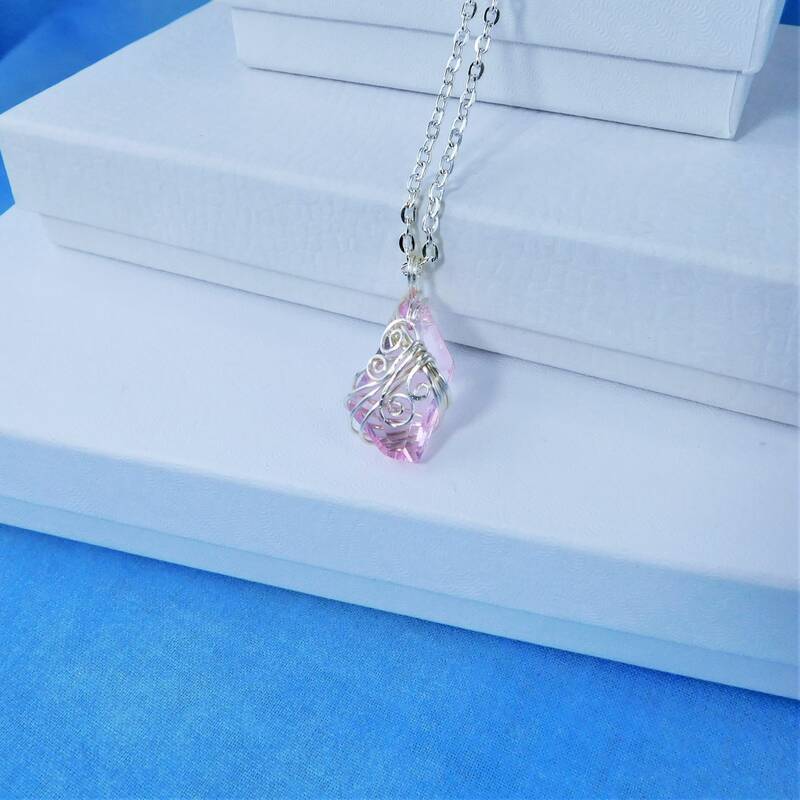 A light pink colored Swarovski crystal asymmetrical diamond is artistically wire wrapped to create a 1 inch by 3/4 inch pendant. 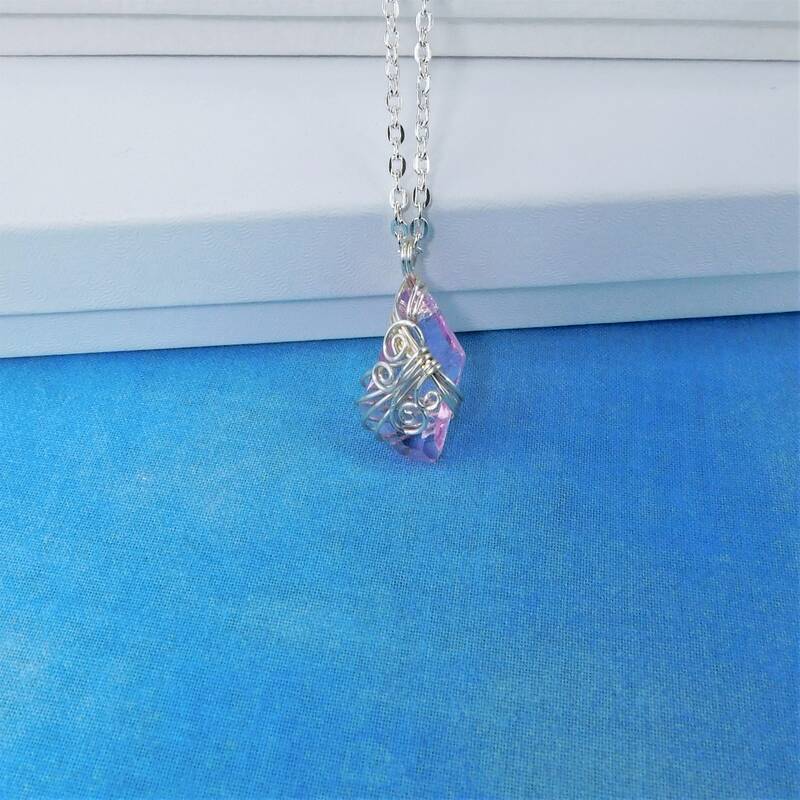 The pink color is interesting and special because the crystal reflects flashes of light from deep within. 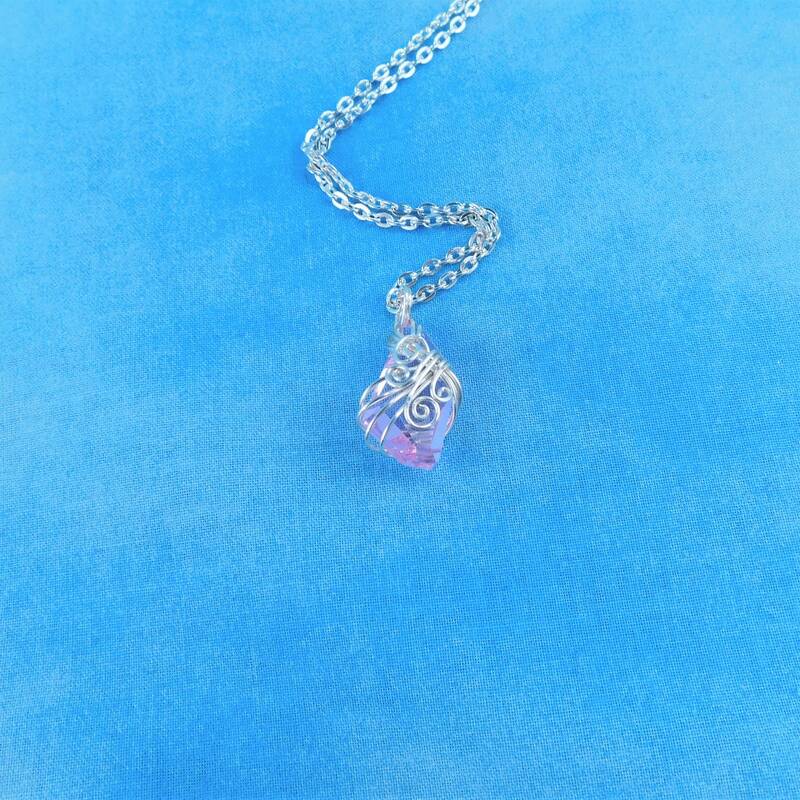 It is a color that is difficult to capture without seeing it with your own eye. 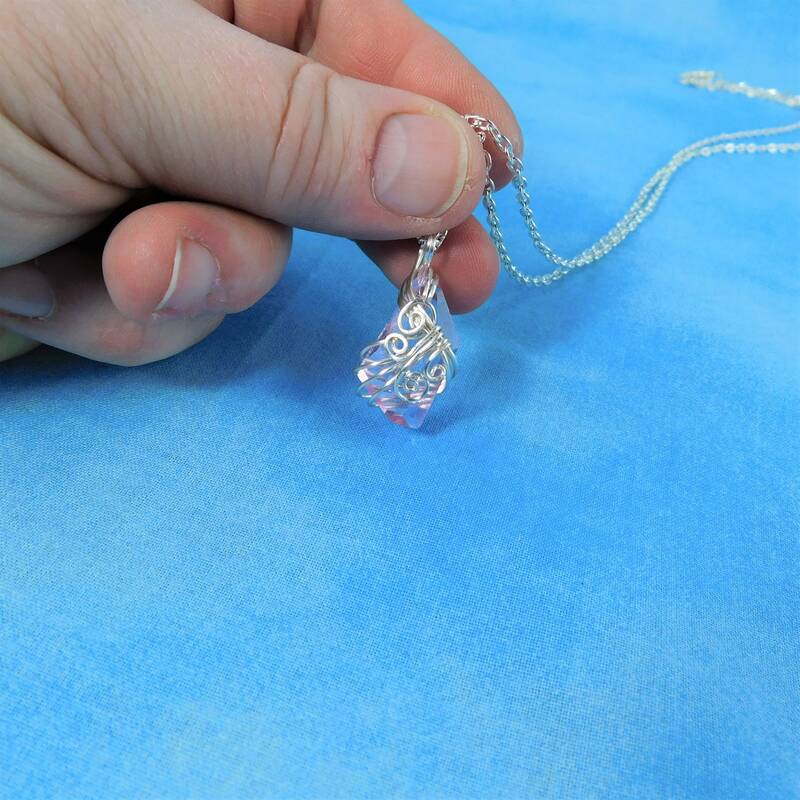 You will find that the beauty is magnified when examined in person. 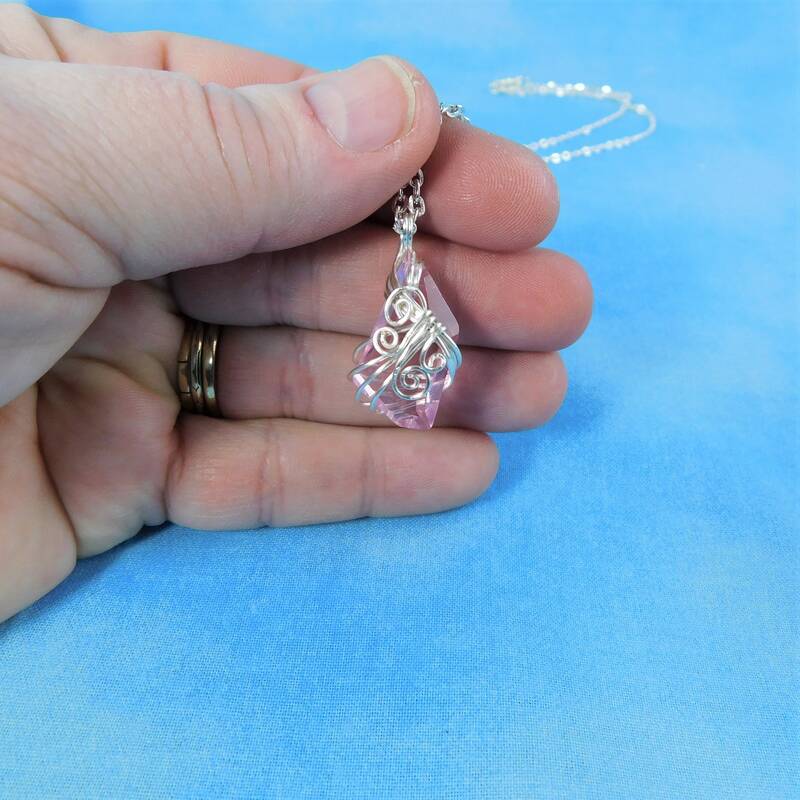 This elegant artistic necklace is just the right touch of color to coordinate with many styles and colors, and the design can go from daytime to night easily. 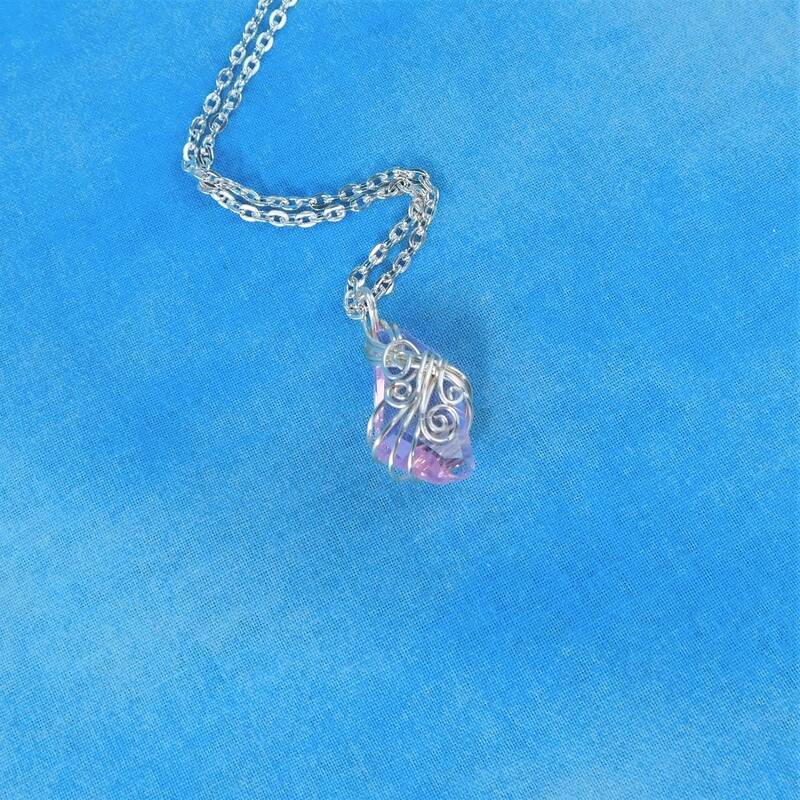 It will be a treasured part of any woman's collection. 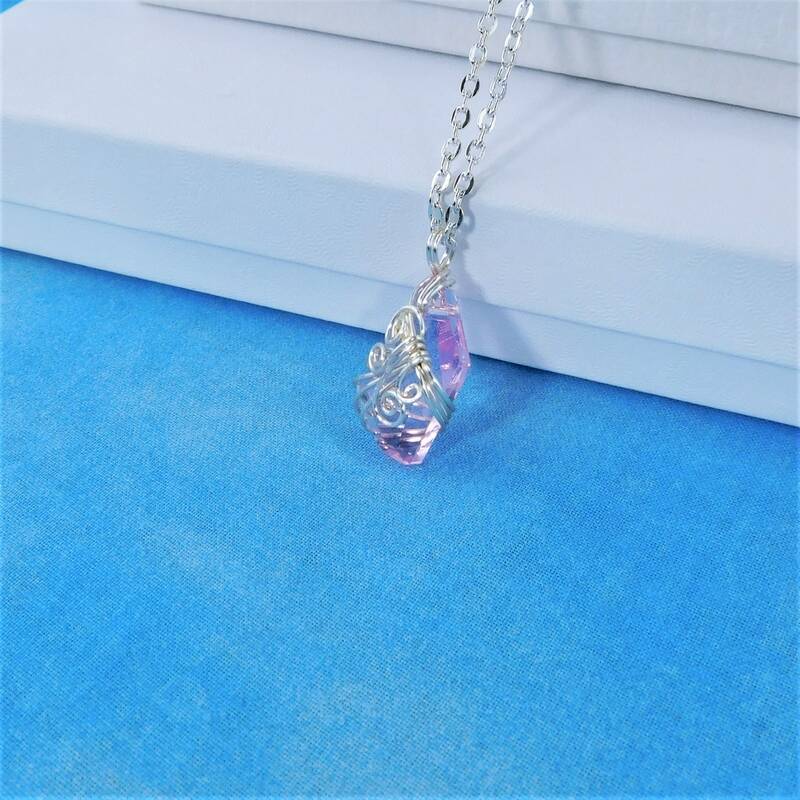 The beautiful crystal pendant comes with a FREE coordinating chain with lobster claw clasp, measured to your preferred length.